Achillea millefolium is known as common yarrow. It is a rhizomatous, spreading, upright to mat-forming perennial that is considered by many to be an aggressive weed. Common yarrow from Europe and Asia was originally introduced to the U.S. during the colonial times, and has since naturalized throughout the U. S. and Canada. 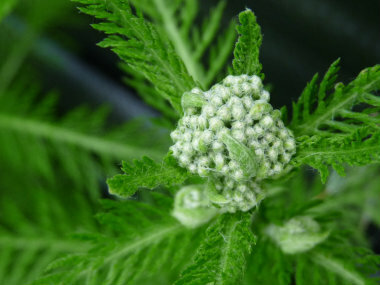 Achillea is in reference to Achilles, hero of the Trojan Wars in Greek mythology, who used the plant medicinally to stop bleeding and to heal the wounds of his soldiers. Distinguishing Features: Achillea’s are well-noted for producing deeply-dissected, fern-like, aromatic, medium green foliage. They are also commonly identified having tiny, long-lasting, white flowers that appear in dense, flattened, compound corymbs that persist throughout the summer. 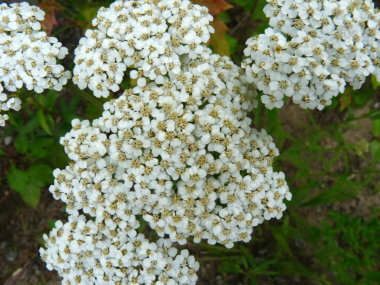 This is a plant that not only grows in the wild but many garden centres sell common yarrow as well. Cultivars also extend the range of flower colours to include pinks, reds, creams, yellows and bicolour pastels. Flowers: Flower heads are arranged in large, compact clusters at the top of the stem. Each cluster consists of 1 or more flower heads. The flower head has 20-25 (typically) white ray flowers. In the northern hemisphere flowers will bloom anywhere between April and September. These flowers attract bees. 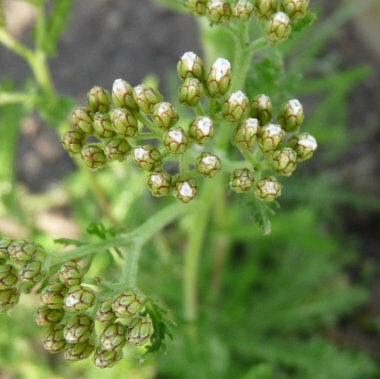 Fields of Nutrition has medicinal benefits and vitamin/mineral content of Common Yarrow. Leaves: The leaves are alternate, 7cm to 12cm long, with many leaflets on each side of the midrib (1- pinnately lobed); and these are further divided into smaller leaflet. This gives them a delicate, fern-like, lacy appearance. 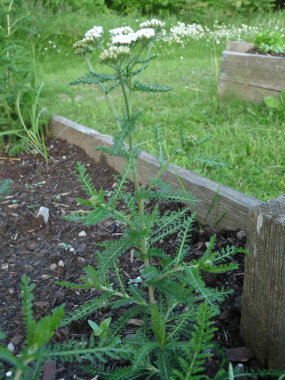 Height: This yarrow can grow anywhere between 30 cm to 1 metre tall. Habitat: Common yarrow prefers sunny locations on thin, sandy soils although it can grow in part sun conditions as well. 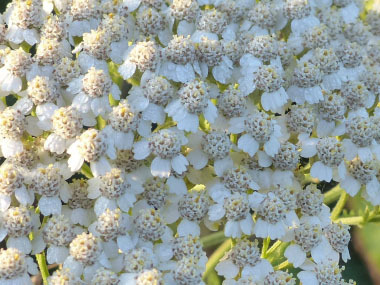 You’ll see yarrow along roadsides, in fields, waste areas, canyon bottoms, subalpine zones and even on lawns. It grows in North America, Europe, Asia, Australia, Africa and South America. Edible parts: Leaves can be consumed raw or cooked. They have a somewhat bitter flavor yet they make a great addition to mixed salads. They are best used when young. 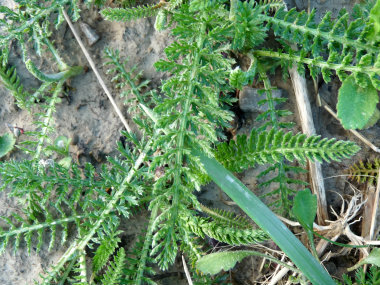 Common yarrow leaves are also used as a hop-substitute for flavouring and as a preservative for beer. 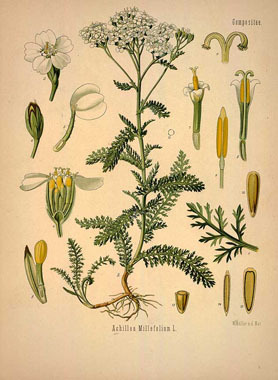 Although in general yarrow is a very nutritious and beneficial plant to add to the diet, it is recommended that this not be consumes in large quantities. Tea is made from the flowers and leaves.